Organic. Delicious and healthy. The outstanding alternative. Live cultures. Vitamins B12, D & E. British milk. Free from cow milk. No additives. No added sugar. Gluten free. 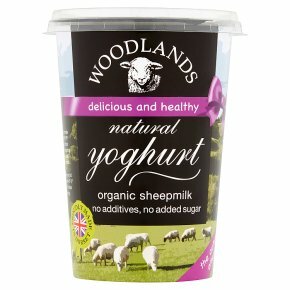 Vegetarian Society approved.Sheep milk yoghurt tastes great, may improve your digestive balance and benefit those with certain food intolerances and allergies.